Eden Wen: An Interview with Alonzo Gaskill. From this account, Prof. Gaskill goes on to provide us with what Christ said and with commentary on the verses. The teachings are extremely relevant to women and men today. Especially within the LDS Church, it furthers the role that women have in our society. I love your class and it was interesting reading your book, as it has a completely different tone (and understandably so). What do you want your readers to know about you? This book is a bit of a departure from what I typically write on: e.g., Temple and Scriptural symbolism. But I think it was worth saying. 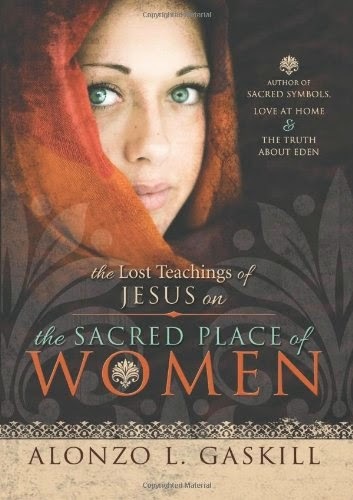 I would hope they would see this little book as my personal testimony of the power and value of women—in my life, and in the world and Church generally. How would you address the Ordain Women movement? Do you think they would benefit from reading your book? I don’t know how they would respond to my book, but my encouragement to the Ordain Women movement would be to be active in the Church, and request to be an Ordinance Worker at their local Temple. I think that would provide blessings in their lives and perspective on their divine role and worth. I understand that we each desire blessings in our lives which may or may not come to us. But I think one of the profound principles of the Restoration is the belief in modern Prophets and Apostles who see more than the laity of the Church. We sustain them as being those whom God has ordained and equipped with the mantle necessary to lead and guide the Church. If we call into question their prophetic mantle, are we not—by default—really calling into question the actuality of the priesthood and its existence? What do you think is the most important takeaway for women, and men, who read your book? God does great and important things through His children. Men and women are, by design, different. Equal, but different. That being said, there is much to celebrate about women and their divine roles, callings, nature and power. Men—and the world, generally—should respect and revere the place, role and contributions of women. They are a gift to families, children, husbands and the Church. And this discourse highlights the many things God has called them to be. Thanks for reading. Also, Mothers' Day is coming up in a couple months. Just so you know.